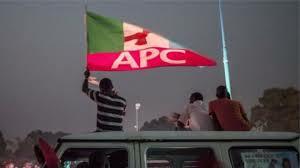 Factional chairman of the All Progressives Congress (APC) in Lagos State, Mr. Fouad Oki yesterday told electorate in the state that apart from President Muhammadu Buhari, who is the party presidential candidate, they were free to vote for candidates of their choice who may not be APC candidates. Oki told the party faithful from Alimosho, Ikeja and Agege at the launch of the APC door-to-door campaign for Buhari held at the party’s secretariat at Egbeda that the president had freed them all to vote their conscience in the elections, saying that since there were still aggrieved people within the party following last year’s party’s primaries, it would be wrong to force them to vote for people who were not theirs. Oki said that following the last primaries, some members were forced to quit and seek solace in other political parties, stressing that such people would be voted for by APC members if they were found worthy than the official candidates presented by the APC. He, however, urged the party members to come out to vote for the Mr. President, saying, other candidates in the APC in the state were imposed on the people, a situation he insisted must stop as the state must cease to be the personal political estate of any individual. “Just as it is in Kwara state where the people said enough is enough to the political hegemony of an individual, we are also saying enough is enough in Lagos state,” he insisted.